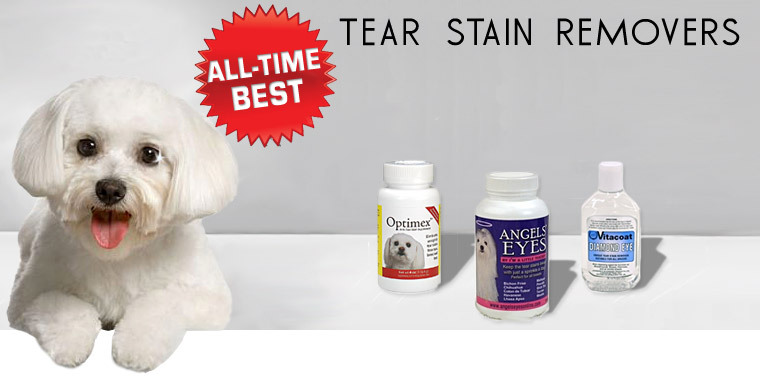 Over the years, a variety of tear stain removers have been featured. 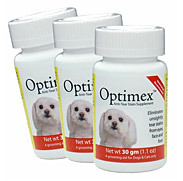 Here are top 3 best sellers that have stood the test of time, rigorous scientific research, veterinarian's reviews, and testimonials from millions of pet owners. While each brand is effective, they have subtle differences that make them special. 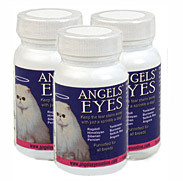 Angels' Eyes is a customer favorite and is the first product specifically developed for both dogs and cats to remove tear stains from the inside out. 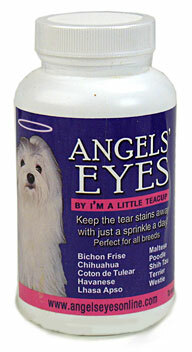 Angels' eyes also helps to eliminate staining around the mouth & coats due to licking. 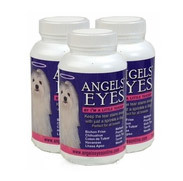 Angel's Eyes starts working before the tear stains begin & never adds food dyes or wheat which can have negative effects on your pet. Ingredients are products of the USA. 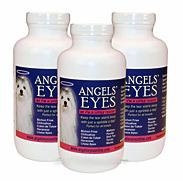 Help your pet’s eyes by ordering Angel's Eyes. It is like an Angel in disguise!! 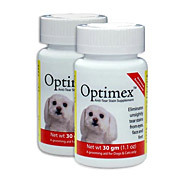 Optimex Anti-Tear Stain is customer approved and designed to eliminate under eye tear stains, and staining around the mouth and feet. 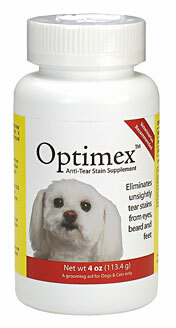 It reduces the staining by activating your pet's natural immunity against stain causing bacteria. 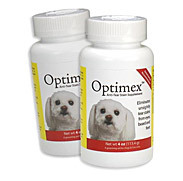 The Optimex formula is made with the highest grade ingredients including Argentine grass fed beef. Veterinarian recommended for a healthy immune system. Major Ingredients: Beef Liver Powder (Argentine, Low Heat, Desiccated) from healthy grass fed and steroid-free Argentine beef; Active ingredient: Tylosin as Tartrate BP (Veterinary use) up to 692,000 units/tsp. 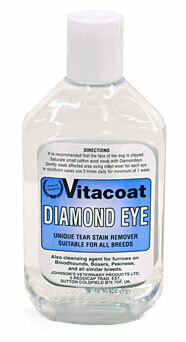 Diamond Eye by Vitacoat is a proven solution and used extensively by pet owners and will remove those stubborn unsightly stains around the eyes and other parts of the coat. Diamond Eye is suitable for all breeds and 100% safe for your dog. Vitacoat has been known to the breeder professional and exhibitor throughout the world for over 40 years as the range of quality shampoos and grooming preparations that ensure that the coats of show dogs and pet dogs are always in tiptop condition. Repeated use will help to prevent those unsightly marks and stains around the eyes from forming. I have a white persian kitten and maltese. My persians eyes where so stained when I bought him. 2 weeks later and the stains are almost gone. It's truly a drastic improvement.